12/1-12/31 – December Community Tap at The Knickerbocker WHEN? New Holland Brewing The Knickerbocker is proud to partner with Samaritas! 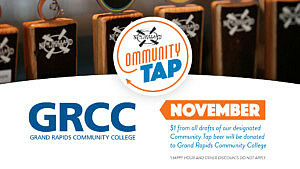 For every 16oz/20oz draft of our designated Community Tap beer ordered between December 1-31, $1 will be donated directly back to them to support their efforts.